When kids experience sports injuries severe enough to keep them from playing or participating, they tend to have fairly dramatic reactions, said Dr. Jorge Gomez, Pediatric Sports Medicine Physician at Texas Children’s Hospital in a podcast interview. As we’ve said here at the Ultimate Sports Parent in the past, injuries can hurt kids’ confidence. And if their self-image is wrapped up in playing sports, injuries can really hurt them psychologically. That’s why it’s important to tend to their emotional state after an injury. “While an older person may have more of a depressed reaction to the situation, a kid is more likely to act out with uncharacteristic anger,” said Gomez. Kids tend to compartmentalize better than adults do, he says. 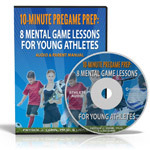 He stressed that communicating with your sports children is essential to overcoming any mental effects of injury. Allowing your sports kids space to talk about their feelings will expedite the healing process and make them feel more supported, he says. Meanwhile, kids need to focus on the process and understand that healing takes time. 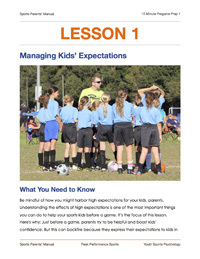 Often, injured kids will get excited about playing again, only to be disappointed that their performance does not match the prior performance level. “This is natural, and as a sports parent, your job is to temper these overheated expectations,” he said. While injured athletes are recovering, they should practice mental game strategies, he suggested. He also stressed working on building up physical strength in areas the athletes hadn’t previously focused on. “Look at things you weren’t working on. If you’ve got a leg injury, work on your flexibility and upper body strength,” he said. Feeling stronger both mentally and physically will help boost kids’ confidence when it’s time to start playing or performing again.